We are really pleased to inform you that we have been awarded the LPPA. A huge thank you to all the parents and governors who came in to support us. is the report if you would like to read it. The Leading Parent Partnership Award gives schools a coherent framework to deliver effective parental engagement from early years to post-16. Our Parent Voice Volunteers have been very active and have made a number of suggestions that the school is using- please see the minutes of the Parent Council Meetings for more details. 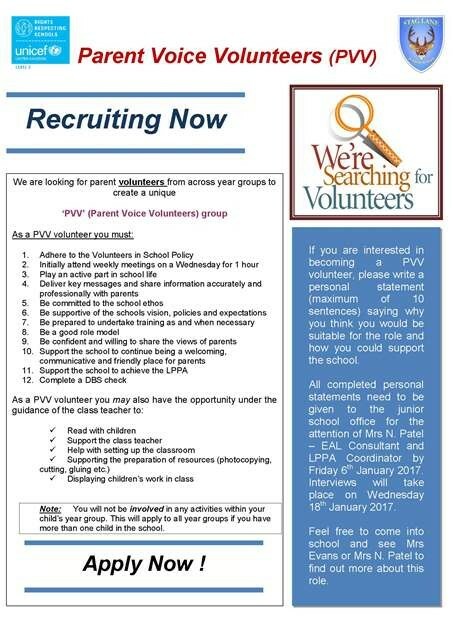 Please look at the PVV pamphlet which tells you about the work of the Parent Voice Volunteers.